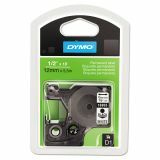 DYMO D1 High-Performance Polyester Permanent Label Tape, 1/2" x 18 ft, Black on White - Polyester tape offers powerful adhesive for items that need a permanent label. Superior design for demanding application is resistant to water, temperature, UV, oils, solvents and chemicals. 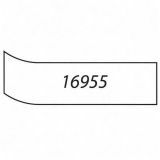 Easy-peel dry edges allow fast, simple removal of protective tape backing. 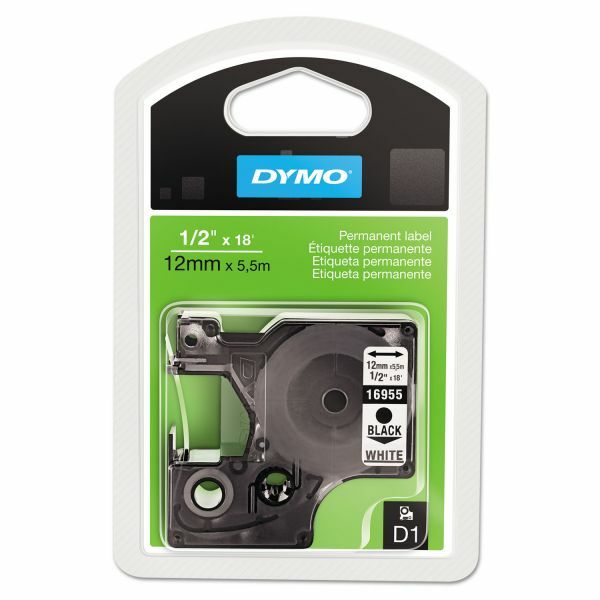 Use the 1/2 D1 white tape with Dymo 1000, 2000, 3500, 4500, 5500, LM100 Plus, LM120P, LM150, LM155, LM200, LM210D, LM220P, LM300, LM350, LM360D, LM400, LM450D, LM500TS, LMPCII, LP100, LP200, LP250, LP260, LP300, LP350, LMPnp Wireless, and LabelWriter Duo."